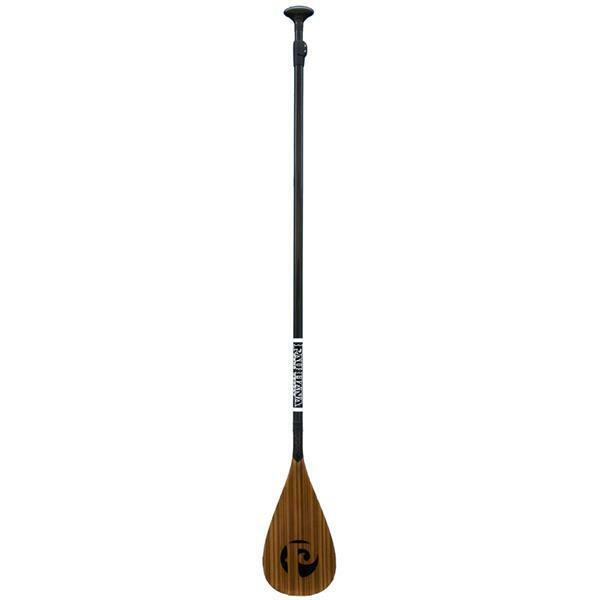 This attractive & lightweight adjustable carbon fiber paddle contains real teak in the blade that looks great, matches the same teak used in our Big EZ Angler board, and is the perfect upgrade to your SUP. The paddle is adjustable with a 2 part clamp to stay at the desired length which makes this paddle great for families and couples. Blade Dimensions: 8.65" x 15"